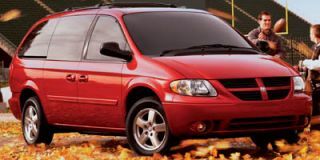 Twenty years ago Chrysler single-handedly invented the front-drive car-based minivan market in the U.S. For a while Ford and GM relied on rear-drive minivans before they too introduced front-drive models. For a decade, growth in sales of mid-size SUVs and minivans ran neck and neck. But in the mid-1990s sales of SUVs took off like a rocket leaving minivans in their dust. Sales of minivans remained around the 1.2-million-unit level, although their best year in sales volume was 2000, before sales then dropped off reaching a low of just over one million units last year. Still not a bad number for a segment many people probably think has all but disappeared. So far this year minivan sales have increased by seven percent compared to last year. The growth has been driven largely by the newest vans on the market from Nissan and Toyota. With sales again approaching 1.2 million units annually this is still a viable and important segment that looks set to witness a revival in the coming years. Are the domestic manufacturers giving up and handing it over to the imports? Judging by the all-new 2005 Honda Odyssey the answer is yes. It’s sad to realize that both Ford and Chrysler have brand new minivans on the market but neither are doing as well as their old models. Not surprising perhaps when the Freestar looks like an old Windstar and the Chrysler models look similar to their predecessors. Yes, they’ve all adopted fold-down rear seats and Chrysler spent $400 million to be able to offer fold away “stow ’n go” center seats. Beside these improvements one would be hard pressed to see much change. Perhaps that’s why it’s not surprising to find the Asians (Kia, Mazda, Toyota, Nissan, and Honda) between them now have a 40-percent share of the minivan market compared to nine percent in 1995 even though all of them, except for the Kia Sedona, were already on the market. During the same period Chrysler’s share has fallen from 40 percent to 34 percent, Ford Motor from 31 percent to 11 percent, and GM from 20 percent to 15 percent. Remarkably the Ford Aerostar is the only minivan that’s disappeared in the past decade although others have received name changes. Odyssey – Still best in class? 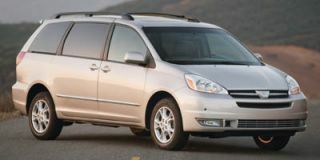 In a recent minivan comparison test in Car and Driver the old 2004 Odyssey was rated as the best minivan, defeating brand new offerings from four other manufacturers. Certainly when it was first introduced in 1995 the Odyssey did not fare well. 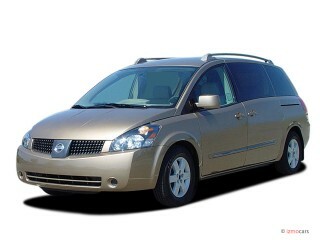 But the entirely new model launched in 1999 shot to the top of the class as the best minivan on the market. For it to still be regarded as the best four years later when all its competitors have introduced supposedly new and improved models is almost unheard of. Versatility is the key attribute of a minivan. They are so much more useful for carrying people and stuff than a SUV or car. 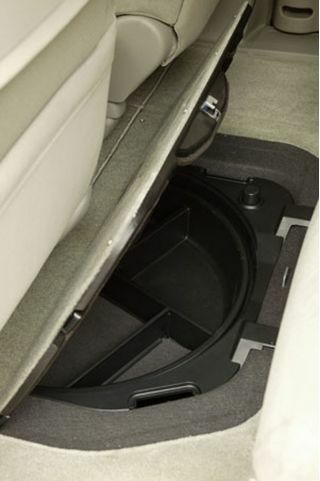 Honda invented the “magic seat” – a rear seat that quickly folds down into a well in the floor to easily create a large flat storage space. Now it brings you the Lazy Susan — not for serving food but for adding additional storage in an unusual space. When Honda decided to move the spare tire from under the front seats to a rear storage area it elected to retain the well under the floor. In that space there is now a rotating plastic storage container with a trap door for access between the front seats and in front of the center seats. By rotating the storage container, passengers in any of the front two rows of seats can access small stuff that’s also conveniently hidden well out of view. Lazy Susan is available standard in all but the base LX model. Like other minivans the rear seat now splits 60/40 and is much easier to fold down into the rear well as it is much lighter and the mechanism has been improved. While the second row of seats cannot be folded into the floor the backs do fold fairly flat. Honda offers an optional small center seat that fits between the two captain’s chairs to provide eight seats. This seat is called the PlusOne seat and it can be folded and stored in the Lazy Susan compartment when not needed. 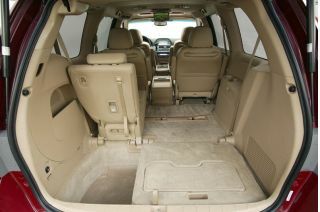 The Odyssey’s cabin is bigger with two inches extra leg room for the third-row seat passengers. Yet the overall length is unchanged while the vehicle’s width has expanded by an inch. Access to the rearmost seat is improved when the PlusOne seat is removed as the center seats fold forward and also move inwards for easier access. There are 15 cupholders in all models expect the top-of-the line Touring model, which gets 17. 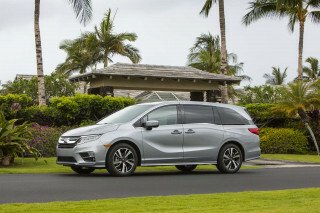 Even though the old Odyssey kept its bragging rights as the most powerful minivan during its four-year reign, Honda has increased the power output in the new van by 15 horsepower. The aluminum 3.5-liter V-6 VTEC engine now delivers 255 hp at 5750 rpm. Its torque rating has also increased by 8 lb-ft to 250 lb-ft at 5000 rpm. Thanks to improved aerodynamics and engine tuning the estimated EPA fuel economy ratings have improved slightly from 18/25 to 19/25 (city/highway). Buyers of the EX model with leather and the Touring model get even better fuel economy ratings of 20/28 mpg without any loss of performance. This is thanks to the first time use of Honda’s new i-VTEC engine with Variable Cylinder management (VCM) technology that cuts off three cylinders while cruising. The system is totally transparent to the driver and passengers. Any potential vibration or booming noise while the engine is running on one bank of cylinders is avoided with the use of active liquid-filled engine mounts and an active noise control system that emits identical but out-of-phase sounds from the audio speakers. Good car-like handling proved to be a selling point on the previous Odysseys and Honda has further improved the new model with a much stiffer body shell. MacPherson strut front suspension and trailing arm double wishbone rear suspension is retained but bushings and subframe mountings have all been improved for greater compliance and improved NVH. 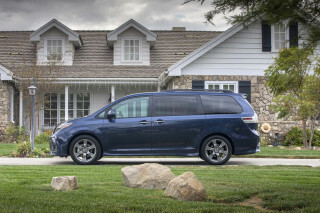 Bigger tires on all models also help keep the Odyssey’s handling tight and neutral. 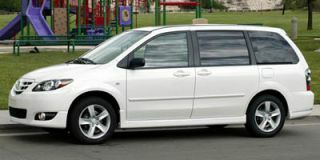 Honda’s stated goal was to produce a minivan with European sedan handling. During a brief test drive on the Barber Motorsports track near Birmingham, Alabama, we found the van very capable. It felt secure even when reaching the limit of adhesion on tight corners. Body roll seemed almost non-existent. One cannot honestly compare it to a Euro sports sedan, but it’s certainly far removed from a tippy SUV. 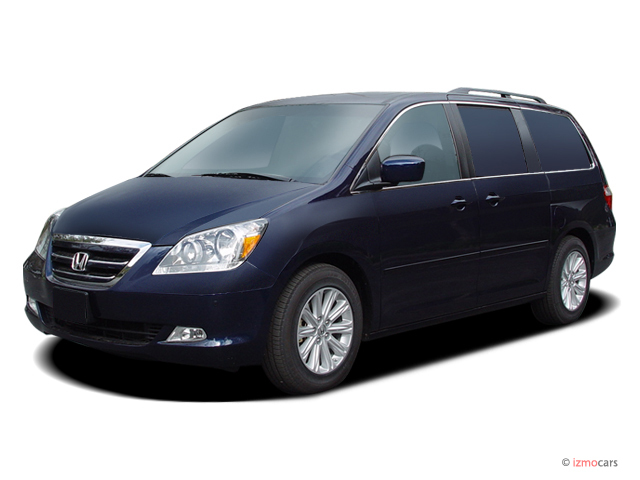 High levels of safety equipment are a key ingredient in the minivan segment. Odyssey gets it all with standard side-curtain airbags with rollover sensors that cover all three rows of seats. Incidentally Honda also retains six roof-mounted grab handles. These have disappeared from Chrysler’s vehicles because DaimlerChrysler engineers claim they cannot be installed with roof-mounted airbags. Somehow, Honda’s engineers did not run into the same difficulties. Vehicle Stability Assist with traction control and ABS are standard on all models. Crush zones in front and back ensure that the Odyssey meets or exceeds all crash standards. In addition engineers have taken great pains to lessen the impact on smaller cars and pedestrians should the Odyssey be the vehicle doing the hitting! Ergonomics are another area where Honda has paid attention. Optional adjustable foot pedals help the drivers of all sizes get comfortable. The gearshift lever is placed up in the dashboard where it doesn’t block the center of the cabin and is easier to shift than before with a more natural horizontal movement. The instruments are located in a pod directly in front of the driver and the optional navigation system is mounted up high. Switches for operating the power doors and power windows are conveniently located on a flat surface to the left of the steering wheel so they can be found without fumbling around below the dash. The nav system has a nice big eight-inch screen, the biggest in a minivan, located up high in the center of the dashboard for easy viewing. It has a voice activation that is also used for activating the climate controls, the DVD entertainment system and the radio. Encouragingly, the voice activation system seemed to work really well. Richard Hwang, one of Honda’s human interface engineers, said the system can understand over 600 commands and is programmed for regional accents. However, when asked for directions to nearby Birmingham with a British “BURR-ming-um” accent the “lady” in the computer got confused! Fortunately “she” did understand “bir-ming-HAM” with an Alabama drawl. The rear optional roof-mounted DVD has a 9-inch monitor, the biggest in a minivan, and the four cordless headphones turn on and off automatically as the earpieces are rotated. Honda is offering a new high-end model in 2005 called the Touring. It includes leather and features such as the i-VTEC engine, that are optional on other models. In addition it has slightly stiffer suspension settings and for the first time on a minivan, Michelin PAX run-flat tires on special alloy wheels. Unique features include a three-zone automatic climate control system, power rear tailgate, powered moonroof, power adjustable pedals, upgraded audio system, and a 115V socket in the rear for the kid’s Playstation or Xbox. Although the Odyssey was designed in Japan it is almost entirely an American made vehicle. All Odysseys are now being manufactured in the Honda facility in Lincoln, Alabama. It is one of the most self-contained auto factories in the country as the V-6 engines are cast and assembled here and all body stampings are done in house. About the only major components that come from outside are the seats and the transmission. Honda recently completed a second assembly line in the factory so it is now capable of producing up to 300,000 Odysseys and Pilots a year. Initially Honda expects to sell 160,000 Odysseys per year but if demand is high it can expand that to 180,000. In 1999 when the second-generation Odyssey hit the market it was an instant success. Judging from the numerous improvements that have been made to the new model, Honda surely has another hit on its hands. It goes on sale on Sept. 22, and the exact pricing will not be announced until then. Honda says there will only be a slight increase compared to comparable 2004 models. Excellent vehicle for a family thank you. 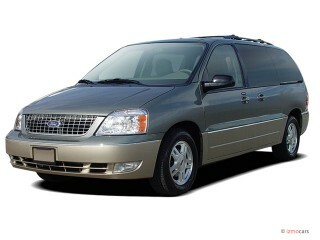 Excellent vehicle for transportation thank you.Would gladly purchase another van have a great day.